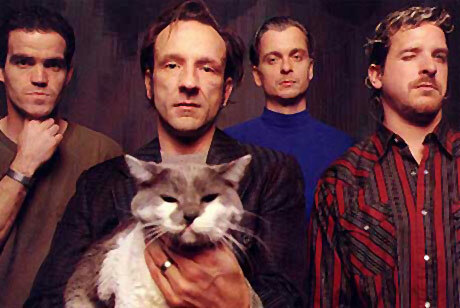 As we recently told you, reunited noise rock legends the Jesus Lizard have been hard at work prepping a series of live shows and quite the extensive reissue campaign. Now, with their first Canadian tour date just around the corner (what's up, Vancouver), the band have revealed all the details, including the bonus material, for their reissued discography. The albums being reissued are the entirely seminal Head, Goat, Liar and Down, and they're being put out by Touch and Go with a September 22 release date. The albums were remastered by Steve Albini and Bob Weston, and will be available on vinyl, CD or MP3, with a significant amount of bonus tracks tacked on to each. Here, for your wading pleasure, is the monstrous track information for all four albums, and the bonus Pure EP. 4. "If You Had Lips"
5. "Happy Bunny Goes Fluff-Fluff Along"
10. "Sunday You Need Love * "
3. "The Art of Self-Defense"
1. "Fly on the Wall"
3. "Countless Backs of Sad Losers"
4. "Queen for a Day"